Ok, so as a brand new camera the Canon Powershot A3300 IS doesn't break any new ground, but what it does offer is a decent build, good image quality and excellent noise control for the resolution and tiny sensor. It also offers fun features such as the miniature, fish eye and toy camera effects. It's an easy to use camera with a good, clear menu and intuitive controls. The design of the Canon Powershot A3300 is nice although from a personal point of view, we feel that the command dial looks a little awkward design wise and it may have been better redesigning the back to fit it on there. Not that it impairs the cameras performance in any way. For the price that the camera is set at, you get a lot for your money. We'd expect more noise at low to mid-range ISO settings and a slower camera. 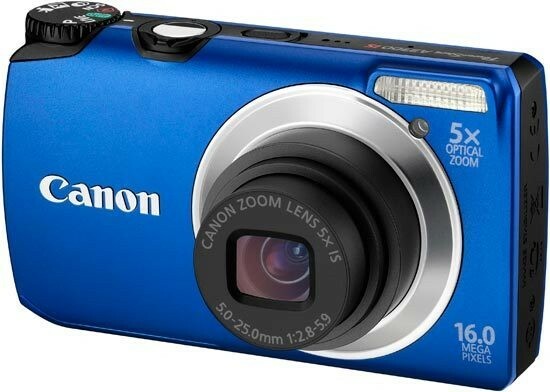 If you're on the look out for an attractive little compact for holidays or days/nights out then the Canon Powershot A3300 IS is a good camera to consider.